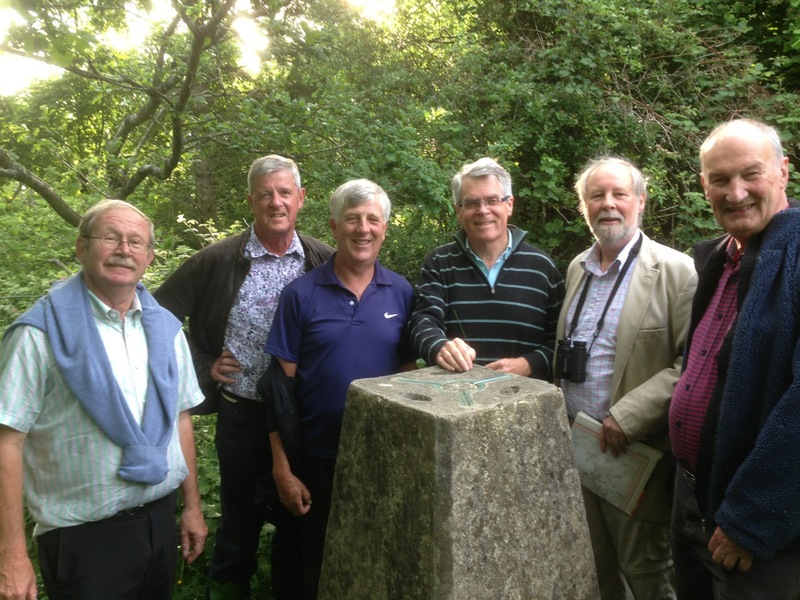 A large party of Sherborne Castle Rotarians paid a visit to Duncliffe Wood on the 24th June. Leaving the sherpas at base camp (The Kings Arms) playing boules, won by Alec Newman, seven intrepid climbers struck out for the summit unsupported by their Sherpas. Duncliffe Hill, a designated site of nature conservation interest, rises to over 700 feet, as is just west of Shaftesbury rising out of the scenic Blackmore Vale. The walkers made a circuit of this large ancient woodland site and eventually the route to the top was found using a combination of Ordnance survey maps and GPS. After a strenuous climb the successful party reached the top led by Mike Balfour, and enjoyed the views of the sweeping Dorset valleys and rounded hills with a dominance of woodland on the scarp faces. A rapid descent was made due to the concern that the base party would drink all the beer, but this proved unfounded. Following well earned refreshments (for some) with ham, egg and chips we returned in an easterly direction back down the A30.